Thank to MFCT on Facebook (https://www.facebook.com/marvel.figures.custom.taiwan/). 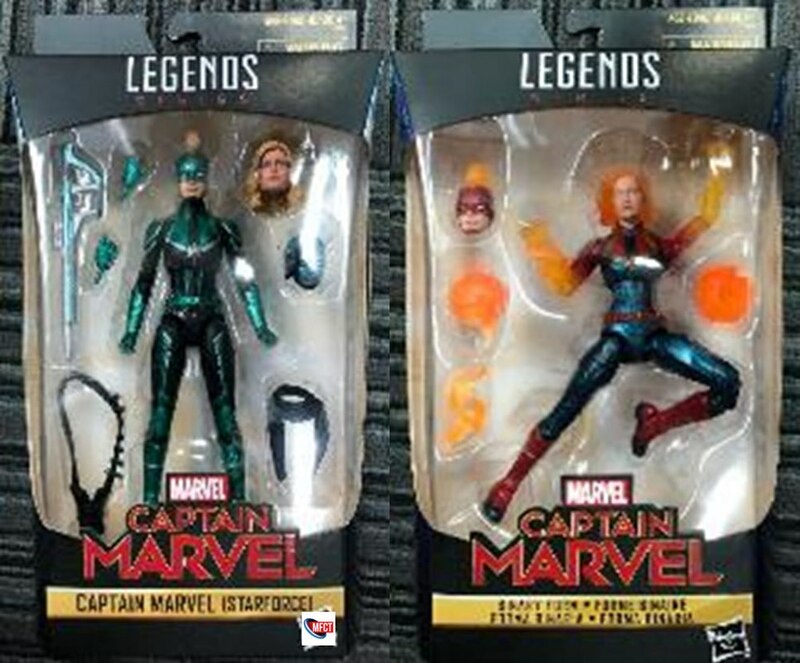 It looks like we are getting some more exclusives for the Captain Marvel movie, with 2 new figures, Unfortunately both of them are MCU Captain Marvel, one in her blue Starforce costume and another in her powered up version you’ve seen in the trailer. However, if you don’t want to buy another Capt Marv, don’t worry has the blue costume comes with what looks like a Minerva head, so you can have more members of the Starforce. It makes buying it worth more then getting another Carol Danver. Hopefully we will see some more comic figures as a twin pack exclusive (like a Mar-Vell and Ronan 2-pack) in the future but for now it looks like they are really focusing on the MCU for this line.